Earlier this week, American aerospace manufacturer and defence industry company Orbital ATK tested a 3D-printed hypersonic engine combustor at NASA’s Langley Research Center in Virginia. It has been an eventful month for the US-based firm; a $47 million contract from the US Air Force Space and Missile Systems Center for an Evolved Expendable Launch Vehicle (EELV) program for national space security missions is now followed by this path-breaking testing mission. 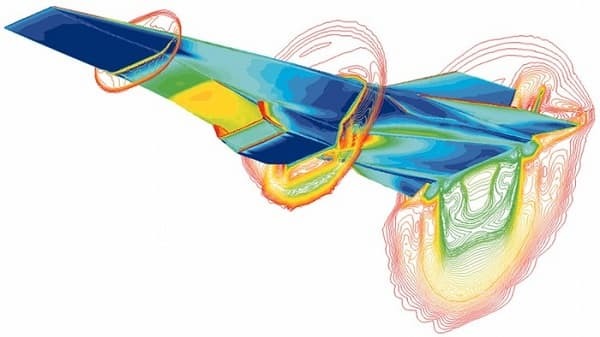 The scramjet, or the supersonic combusting ramjet combustor is one of the most challenging parts of a propulsion systems. Here, the jet is propelled by combustion which takes place in supersonic airflow. A scramjet relies on high vehicle speed to forcefully compress the incoming air, hence they key is efficient operation at high speed. This scramjet component spent a thorough 20-day period in high-temperature hypersonic flight conditions and at the same time, underwent one of the longest wind propulsion tunnel tests at Langley. The combustor was assembled by a process called Powder Bed Fusion (PBF), where a layer of metal alloy is laid down by the printer and a laser or electron beams fuses areas of it by following a digital pattern. Following this layer-by-layer process, the excess powder is removed and the component is smoothened. Pat Nolan, Vice President and General Manager of Orbital ATK’s Missile Products division remarks that this process is as necessary as it efficient since the complex design of the combustor would otherwise require multiple parts and a much more arduous manufacturing technique. The tests served a dual objective: observing the effectiveness of the 3D printing process, and concluding if the finished product met its mission objectives, and Orbital ATK claims both of these were satisfactory. The 3D printing process was completed at the company’s Ronkonkoma, New York facility and the Allegany Ballistics Laboratory in Rocket Center, West Virginia.